Coral is often mistaken for a rock or a plant but it is actually composed of tiny, fragile animals called coral polyps. Each polyp lives inside a shell of aragonite, a type of calcium carbonate, and the polyps join together to form the distinctive, intricate patterns of coral. What is a coral reef ? A reef is formed by colonies of coral polyps, which thrive in the warm and shallow waters. Live coral grows on the accumulated skeletons of dead coral, so reef is continuously growing. Coral colours come from associated species of algae living inside coral tissues and providing coral polyps with food. Only live coral has colour, with dead coral appearing white. 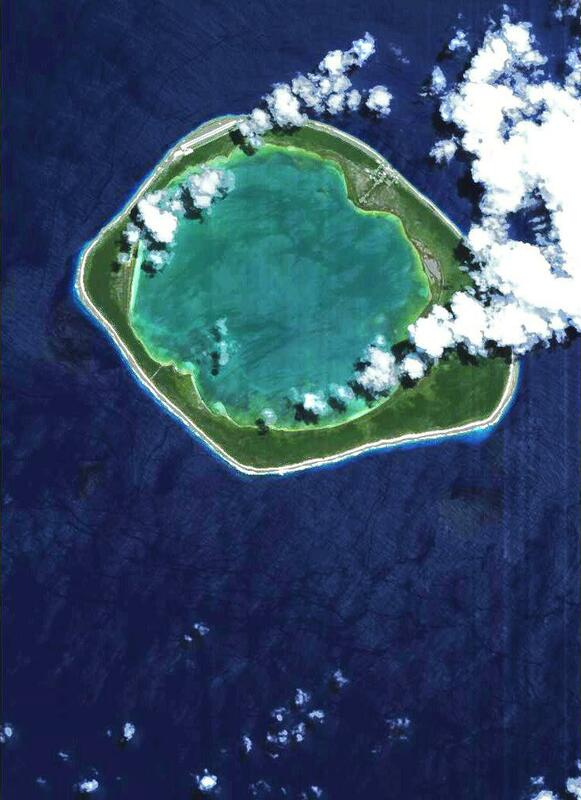 What is an atoll ? Atolls are ring-shaped coral reef surrounding a lagoon. Atolls often teems with abundant animal and plant life. Sea-level rise is a global change threat for the inhabitants of low-lying coral atolls. 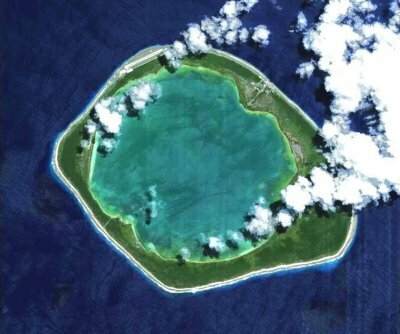 Proba image of the Niau atoll, one of nearly 80 coral reef atolls forming the Tuamotu Archipelago in French Polynesia (06/10/05). Source: SSTL through ESA. Corals are in danger ! 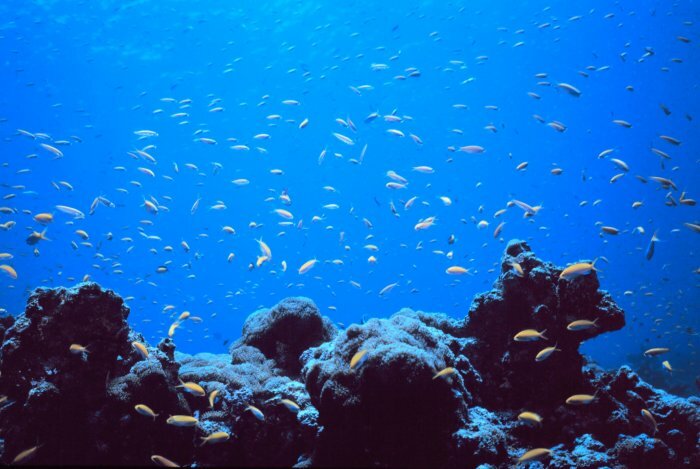 Coral reefs are extremely sensitive. Slight changes in the reef environment may have detrimental effects on the health of entire coral colonies. Coral bleaching occurs where the algae is expelled from the coral tissue, progressively losing its colour and eventually dying. The precise reason for coral bleaching is unknown but the phenomenon is associated with increased water temperatures, low salinity and high sunlight levels. Many threats to coral reefs come from human activities: marine pollution, global change, overfishing, tourism, inland development, etc. Learn much more in the tutorialCoral reefs!